According to innovation charity, Nesta, the number of crowdfunding platforms operating in the UK grew by 50% last year, providing both potential investors, as well as businesses seeking finance, with almost 90 platforms to choose from. The total number of platforms has reached 87 this month, 34 of which have been launched since the start of 2013. 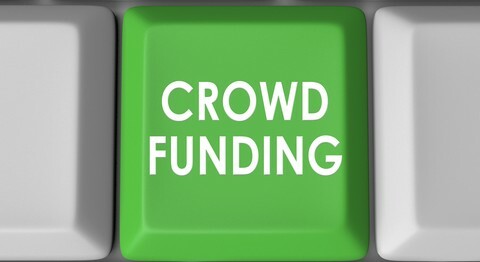 Crowdfunding has become an increasingly popular way of raising funds by businesses, who out of choice or necessity prefer not to seek more traditional funding. Whereas most businesses raise finance from a a single source (often via an overdraft, or loan), crowdfunding enables businesses to secure funding via a large number of individuals. The total amount of ‘alternative funding’ raised last year hit the £1bn mark, and is forecast to rise to £1.6bn in 2014, according to Nesta. A growing proportion of this total can be accounted for by crowdfunding platforms, alongside invoice finance products and peer-to-peer lending. These online platforms bring together businesses and prospective investors, and facilitate the movement of funds between parties, as well as all the associated administration. The platform makes its money by charging a fee (typically a percentage of money raised, and/or an ‘administration charge’). Interestingly, not all crowdfunded ventures have been set up to make a profit. In fact, many charities are using the model to raise funds for projects which benefit the community (via donations). Reward crowdfunding can be used to raise funds for filming, recording, and similar projects, which the donors receiving ‘perks’ or name recognition in return. If you’re looking to invest in a loan-based venture, you should be aware that new FCA rules which came into effect in April 2014. The new rules aim to protect investors by limiting the proportion of funds they can invest in crowdfunded ventures, as well as forcing loan-based platforms to abide by a series of operating principles. Nesta also created the leading online directory of crowdfunding platforms – CrowdingIn – which is updated as new entrants join the market. You can filter the results by the type of funding model provided (donation, reward, lending, equity, or ‘other’), and also by the area of interest.